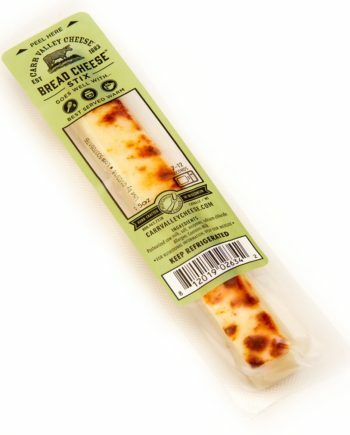 Tony and Julie, a pair of college sweethearts, formed Hook’s Cheese Company and began producing cheese in 1976. At that time they only produced cheddar and some Swiss cheeses. It wasn’t until 1980, that the Hook’s family expanded their production and introduced the world to their Colby, Monterey Jack and their flavored Jacks. 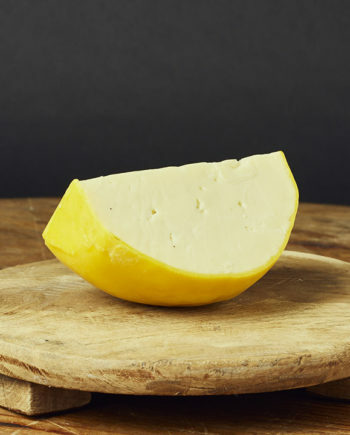 Global recognition was achieved only six years after having founded the company, when in 1982, their Colby won the “Best of Class” award in the World Cheese Championships. It was then judged against the winners of all the other classes and it was judged the “Finest Cheese in the World” out of 482 entries. Julie Hook was, and remains the only woman to win the World Cheese Championship. It was at that point that Hook’s Cheese Company, Inc. was founded, in order to market their cheese. At Hook’s Cheese Company, Inc. cheese is aged in curing caves at just the right temperature and humidity for a slow curing process that allows the cheeses to age to perfection. 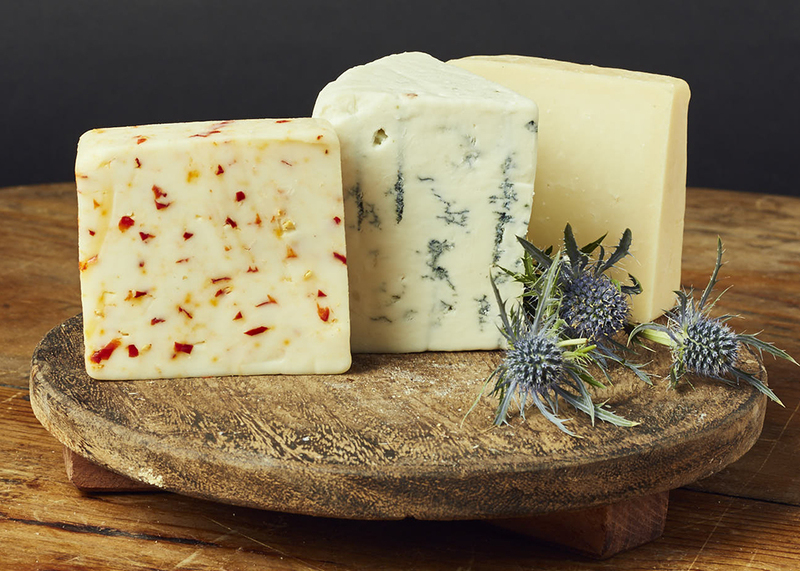 Every few months each batch is taste tested to insure that only the cheeses of the highest quality are saved to age. This is evident in their aged cheddars, such as the Five Year, Eight Year, Twelve Year, and Fifteen Year and especially in their award winning Ten Year Sharp Cheddar, which won an ACS first place in 2006! The only Ten Year Cheddar to win this award! 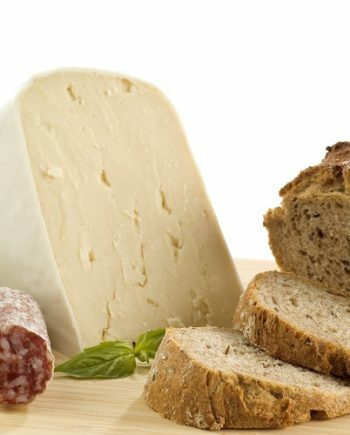 Hook’s Cheese Company has known tremendous success since it’s inception and has consistently managed to grow its roster of cheeses. 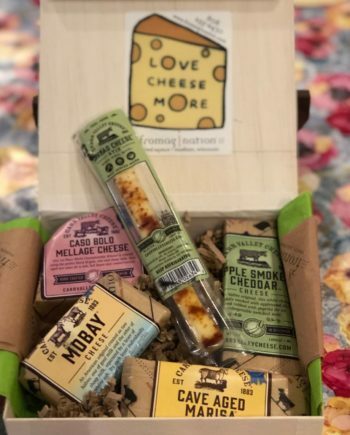 From amazing cheddars, to authentic blues (Hook’s Original, Barneveld, Little Boy Blue and the EWE CALF to be KIDding), Hook’s Cheese Company has never shied away from innovating, and trying new things. Today, that same couple, Tony and Julie Hook, are still going strong, crafting more than 50 cheese varieties. They still buy their milk from the same farmers they started buying from 30 years ago, and make a trip once a week to have a look at the production on their farms. 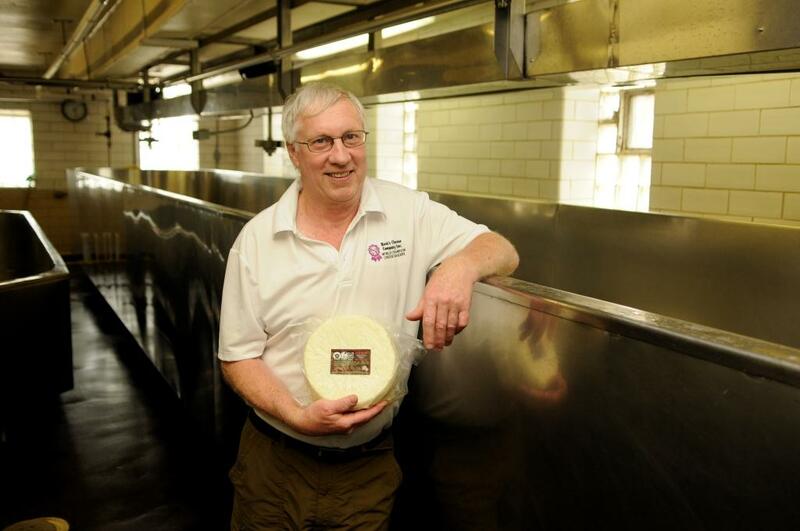 This has allowed Hook’s to develop a first-class model for making award-winning cheese. 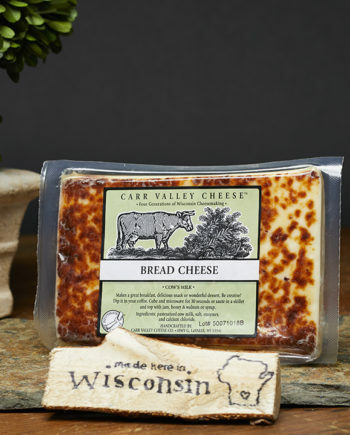 As a result, the Hook family has established itself as one of the most celebrated cheese making families in Wisconsin and the world. At Fromagination, we have a very close relationship with the Hook’s Cheese Company, and have on multiple occasions been to Mineral Point and taken tours of their facilities. 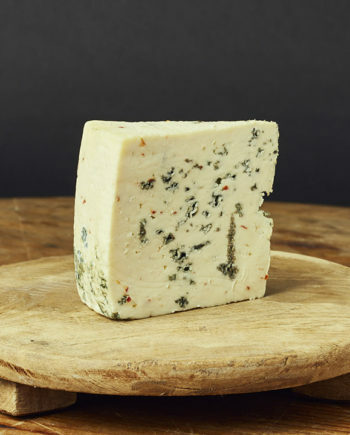 As an example of our close relationship, we were also one of only two retailers in the country they trusted with the launch of their incredible Fifteen Year Aged Cheddar. We cherish the trust they have put in us over the years and in our efforts to promote and sell their cheese in the best possible light. Don’t miss out on a truly authentic Wisconsin experience, and get yourself Hooked on Hook’s! !